Condition : Has character:), Works, volume/tremolo knobs missing (but pots work), no legs or pedal. 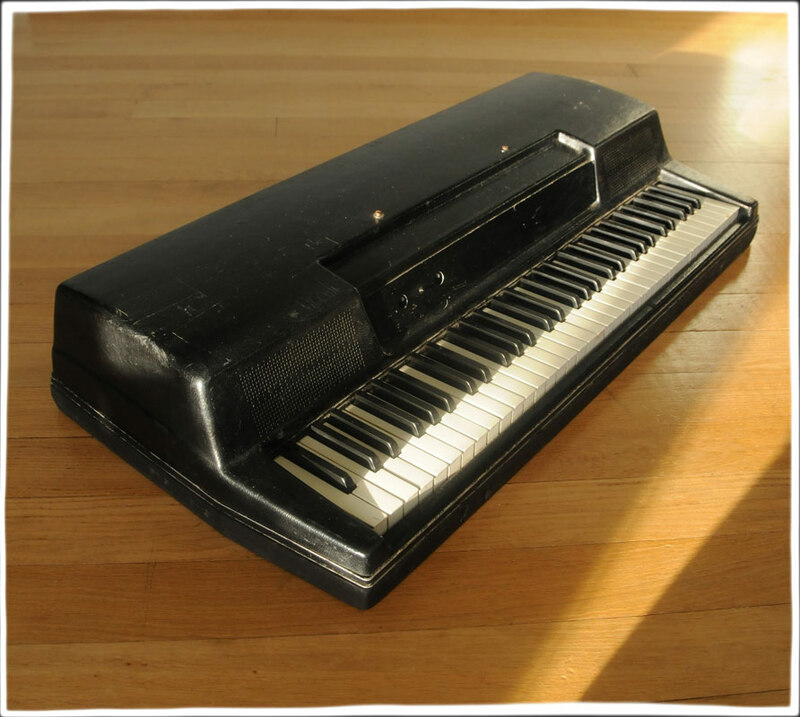 The Wurlitzer electric piano was marketed and manufactured by the Rudolph Wurlitzer Company, located at Cornith, Mississippi. The basic principle of the Wurlitzer piano was developed in America by Ben F. Meissner in the mid 1930s. He placed electromagnetic pickups on each string inside an ordinary piano. To make the tone more powerful, he put reeds inside which blew air into the piano. Wurlitzer realized that this instrument had great potential and developed it further to come up with an electric version of the piano. They placed a hammer, covered with felt, inside the piano. The hammer strikes the metallic reeds to produce vibrations which result in a rich and fat tone. These tones are picked up by a pickup system which then converts the tone into electric energy. This was released in the form of an audio tone via built-in speakers at the front of the unit. The Wurlitzer was relatively similar to the Fender Rhodes in it’s construction and design, but it was also in many ways different. The Wurlitzer was a lot lighter than the Rhodes (which weighed twice as much) and therefore a lot easier to transport. It also boasted its own speakers and a built-in tremolo which early Stage models of the Rhodes did not have. 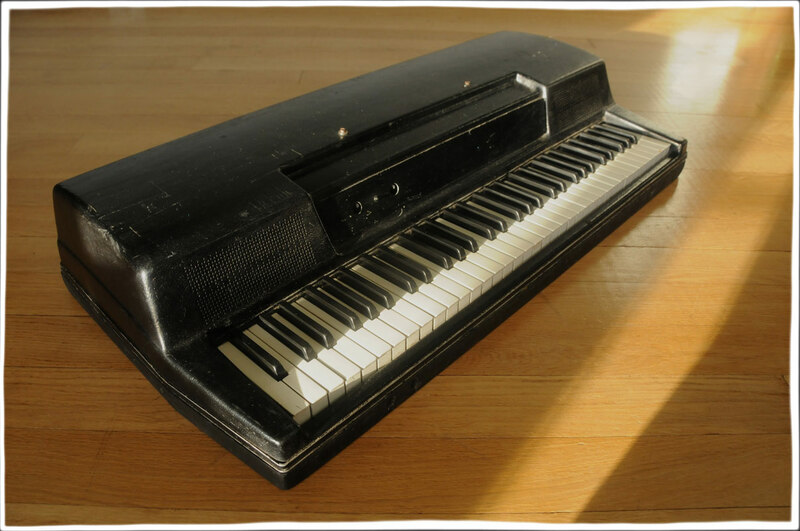 The first Wurlitzer electric piano was released in the 1950s and the piano received great attention – in 1956 the first Wurlitzer album was made by Sun Ra and Demons at Play. The Wurlitzer 100 was replaced by its improved version, called the Wurlitzer 200. As the popularity of the Wurlitzer grew, keyboardists seemed to become more and more divided into two camps, Rhodes or Wurlitzer. With its rough and ‘phat’ sound, this instrument has left an immense mark on many classic recordings from a variety of performers such as Ray Charles, Steely Dan, the Doors, Sun Ra and Queen just to mention a few. 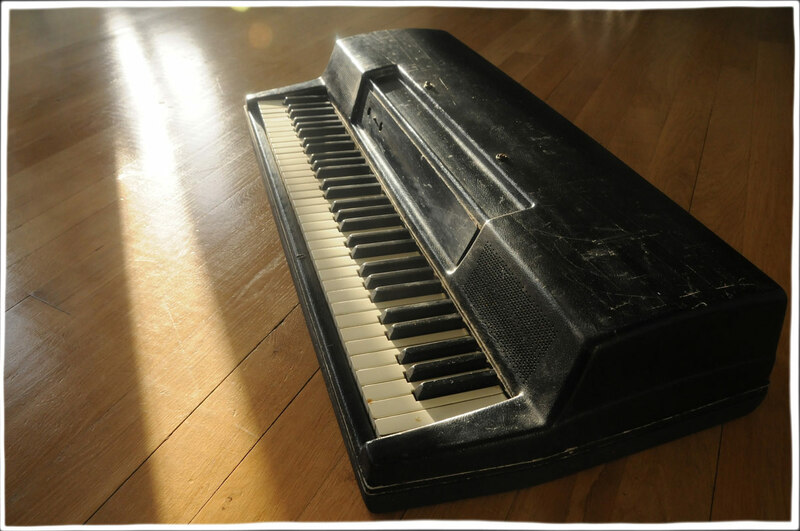 Today it is quite hard to get a hold of a Wurlitzer in good condition – not the most frequently used keyboard instrument in the music industry and quite rare these days.